Pac-man is an arcade game that was developed by Namco and released in 1980. Pac-man is a little yellow circle with a segment missing (mouth) which believe it or not was a design from a pizza with a slice taken out. Pac-man runs around a maze to pick up as many of the dots as possible whilst avoiding the ghosts (Blinky, Pinky, Inky and Clyde). If you get caught by any of them pac-man dies and you lose a life, once all your lives are gone the game is over and your score from how many dots you collected is revealed. Mihaly Csikzentmihalyi’s theory of flow applies to pac-man as the arcade game requires the player to deal with collecting dots whilst navigating around the maze quickly or intelligently to avoid the enemies, If you eat a big dot you can then eat an enemy but only for a limited amount of time as they return to the ghost enclosure to come back to get you again. 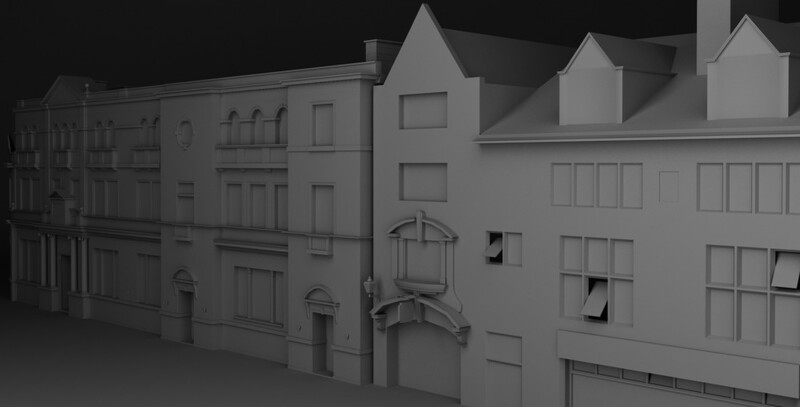 The aim is to collect all the dots and gain as many points as possible, the difficulty is the same but you can get yourself into difficult situations where the ghosts are closing in on you and your reactions really have to be sharp to get away otherwise its a life lost. I achieved flow in pac-man due to playing against class students to try get the highest score possible so I was really focusing on every move made and how I can get to the next set of dots without being caught. 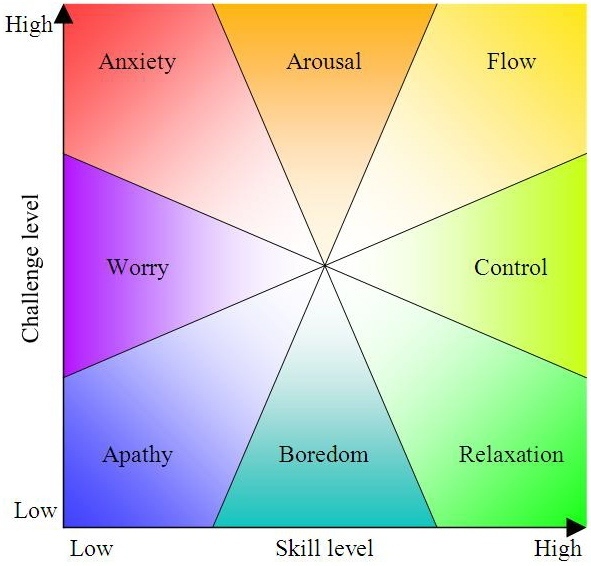 Using Csikzentmihalyi’s flow diagram Pac-man can fall into any of them categories it depends how addicted and immersed you in the game. Some cases of flow when Pac-man was released were quite extreme, in the documentary “Thumb Candy” they meet the makers of Pac-man to discuss the popularity of the game 24minutes into the video is the section on Pac-man. 28 minutes in they mention it made “60 billion yen, so roughly 60 million dollars…in one year” for Namco. For Roger Caillois’s ‘categories of play’ Pac-man would fall under primarily ‘Agon’. Agon is games of competition, with Pac-man you are playing to achieve as much points as possible which will require you to survive longer and gain a high score. The replayability to make this a competition with others includes leader boards and also trying to beat your own personal best. An example of Agon would be when we was asked to play free online PC games to later analyse through game theory and in teams of 4 we was to also play against each other for score then rank through score before moving onto the next game. It also falls under ‘Alea’. Alea is games of chance, with Pac-man the movement of the enemy that the game presents you with is that chance, you could be pinned in a corner by the enemies but somehow manage to escape the navigate randomly but primarily try to chase you but if not they patrol the maze. So chance has a part to play with the enemy, some would say skill is a large part of avoiding them but sometimes you just need that bit of luck to reach the big dot in time before they catch you and eat them all to give you space to continue. To link this into Bartle’s test which defines you as a player through a series of questions this type of game being puzzle based and score based would appeal to an ‘achiever’ style of player due to the points system and the survival aspect. But it also links to the “Killer” category as Pac-man is a predator, he eats all the dots and if a big dot is activated can eat his enemies which rewards you with bonus score. Therefore it does have killer aspects to the gameplay and rewards. Socialiser can also link in as when Pac-man was a hugely popular arcade game people would go down to the arcade to play with or against each other, at the end a leaderboard would reveal and you could enter your initials so you was constantly competing with others if you should so choose to treat it that way. My personal playing of pac-man was that I was either really good at it or just rubbish, when I doing well I enjoyed the game alot and wanted to play more but when i was doing badly it just frustrated me and i wanted to move onto another game. Emotional reactions to the game shows this game has a psychological effect on the player through performance. This is arguable present in all games but this proves the game could be critically analysed using psychoanalysis as a perspective. Categories: Game Theory, Year 2 | Tags: analysis, Brief, Gameplay, Games, History, Icons of Gaming, research, Review, theory, Video game | Permalink. Grand Theft Auto V is the latest in The Grand Theft Auto series which has spanned over 16years featuring 15games on multiple platforms the most recent being Grand Theft Auto V, it is a game which you can do everything you shouldn’t do in real life such as heavy violence, murder, gang war, drugs, robberies and much more violent related content, it is set in San Andreas Los Santos a city filled with much crime and corruption you have an option of 3 characters to explore this game all which interweave with each other in gang related crime on small and large scales. This game is visually pleasing with almost £170million to build the game making it the most expensive game to make ever this was expected, the particularly beautiful feature to experience this is the cinematic camera setting when you are in a vehicle which used multiple angles of camera shots in sort of a montage of your driving or piloting. 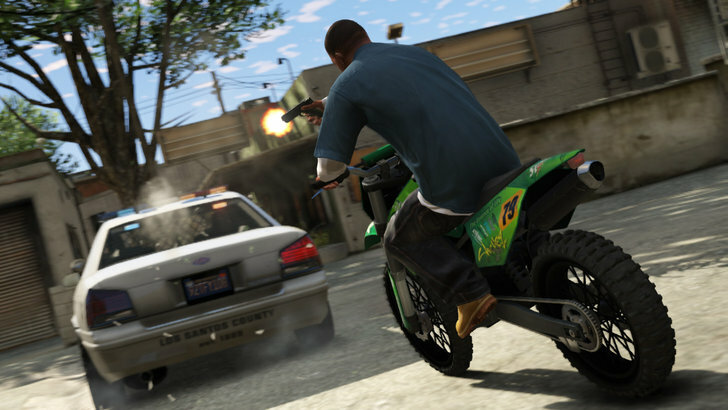 The artists of the game have clearly tried to keep the game similar style to the previous 16years of Grand Theft Auto with new features and a larger scale of gameplay, with the intention of keeping people buying the latest instalments of the series. This game could be in some peoples opinion a GTA: San Andreas 2 with massively improved graphical and gameplay capabilities. For all GTA V’s successes the game still seems to be intent on shocking its audience, a certain mission in the game has come across much criticism, where you torture someone in a interrogation by electrocuting them, simulate drowning, break bones and assault the man. Despite of this the game has sold 15million units with 3million sold in the UK smashing 7 world records on sales and revenue. This game has re-ignited the debate of: Are video games related to violence? is the parents fault for buying their children these game when the game is rated 18 with one of my fellow students being 4 when he first played Grand Theft Auto. This instance of violence is not doing the game any favours a man was stabbed for collecting his pre order and had it stolen. This topic of nature versus nurture is one that will continue for many years in social context. Another feature the designers have incorporated is GTA Online a massive multiplayer social meeting of the single player game, in this multiplayer mode you can set up gang crews with your friends and then tackle heists and compete with other gangs in gang warfare amongst many other features, this makes people once again question the level of violence in the game as you are setting up and planning your own murders, robberies and heists, one particular feature you shout into your headset a number of profanities and violence to make the shopkeeper give you the till money quicker. 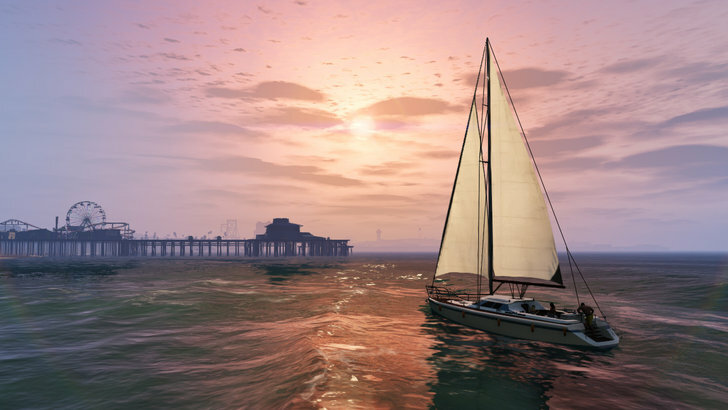 GTA is a prime example of the vastly growing capabilities of games design with realism everywhere from scenery to the characters faces. 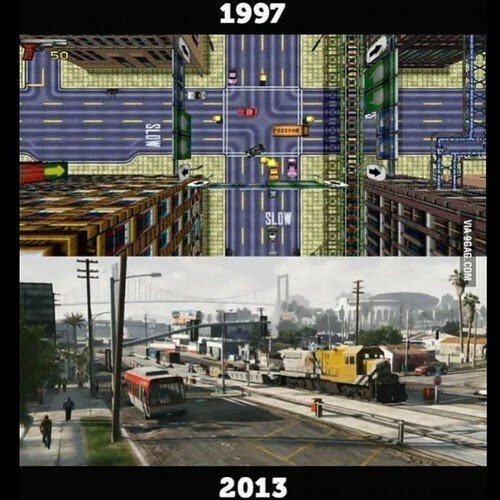 The way to see the progress of the gaming industry is to just look at the first Grand Theft Auto to the now GTA V 16years later, its still the same genre of gaming just modified over years of technological advancements. Overall this game is a game designed to challenge the boundaries of gaming and what you can do in the game, although this causes much debate it clearly is a wanted game that no other game challenges in this genre causing such high sales of a world record breaking standard. Categories: CATS | Tags: 3D, analysis, CATS, context, debate, Drawing, Gameplay, Grand Theft Auto, graphics, multiplayer, online, PHASEgaming, Rockstar Games, technological advancements, violence | Permalink.